Welcome to Mobal Vacation Stories. 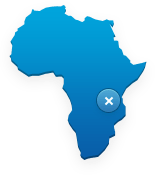 A collection of vacation stories from our very own Mobal customers. 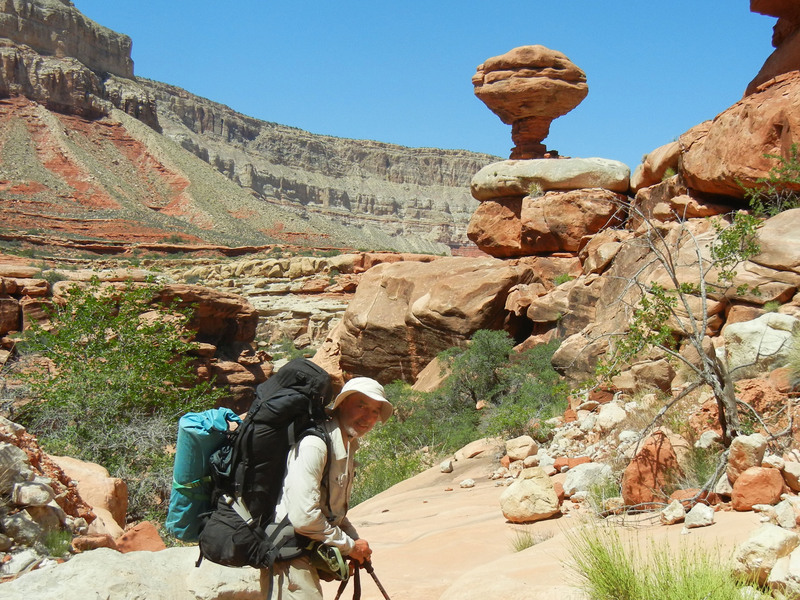 In the first of our vacation stories, David and his friend Klaus go hiking in the Grand Canyon. An enjoyable hike nearly turned to disaster if it wasn’t for the life saving power of a Satellite Phone. 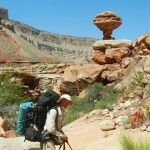 “My friend Klaus and had planned a 12 day hike in the remote western area of the Grand Canyon for more than a year. However on May 22nd, the night before the hike, unseasonably high temperatures hit Arizona. This made the hike from 150 Mile Canyon to Toroweap Overlook unsafe, given the route’s open exposure and little potable water. 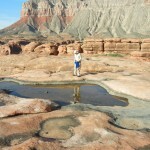 A local experienced Grand Canyon hiker suggested an alternate trek that would be safer given the early heat wave. So we scrambled to leave my car at Jumpup Cabin Trail Head and changed our hiking permit at Pipe Spring National Monument. By one in the afternoon on the 23rd, we got a shuttle to the trail head at 150 Mile Canyon Trail Head. For the next seven days, we enjoyed complete solitude as we meandered among the some of the wonders of the Grand Canyon. We saw interesting rock formations, native american arrow heads, cowboy-era artifacts and life-giving desert springs. It was fantastic. On day seven, we dropped down from the flat Esplanade into a drainage that would eventually lead us to the bottom of Kanab Creek. Since there is so little foot traffic in this part of the Grand Canyon there is no visible path to follow. The first attempt that seemed promising led us to a dangerous cliff. So, we had to retreat make a couple of attempts to find the correct route down. Finally it seemed to me that there was pretty clear route down with only one boulder blocking the dry creek bed. I took my pack off to reconnoiter. I thought that I could carefully pull myself around the boulder, and then hang then drop about 18 inches to a rock slab below. This didn’t happen. As I made my way around the boulder, I lost my grip and dropped about 4 feet onto an uneven surface. I could see that my right foot didn’t properly line up with my leg. When I tried to rotate my foot, an odd bulge just above the shoe top pushed up like a emerging gopher . 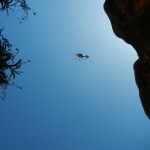 Klaus called down to me, “Are you okay?” I shouted back, “No, I’ve broken my ankle. Grab the Sat phone from my backpack and call for help.” I had preprogrammed the emergency dispatch phone number for Grand Canyon National Park. Within minutes, Klaus was in touch with the authorities. About two hours later, I heard the chopper. After being short hauled out of the side canyon (very scary), a National Park Service helicopter flew me to the Grand Canyon Village. Next an ambulance shuttle took me to Flagstaff Medical Center. By 10 pm, the emergency doctors were evaluating my injury and I had surgery Monday morning. 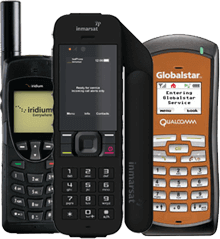 Without the satellite phone, I could have been stuck for days while Klaus went for help”. It’s vacation stories like these that truly captivate us. 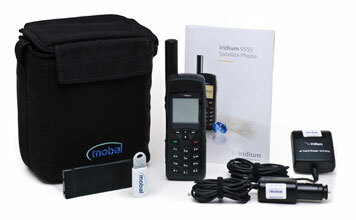 Real situations that people get in to and, with the help of a satellite phone, get back out of. I’m glad David and Klaus are OK, there story even made the news. If you have your own vacation stories to tell, get in touch with us. Just click here to submit your vacation story. Feel free to share this vacation story, and leave comments below. 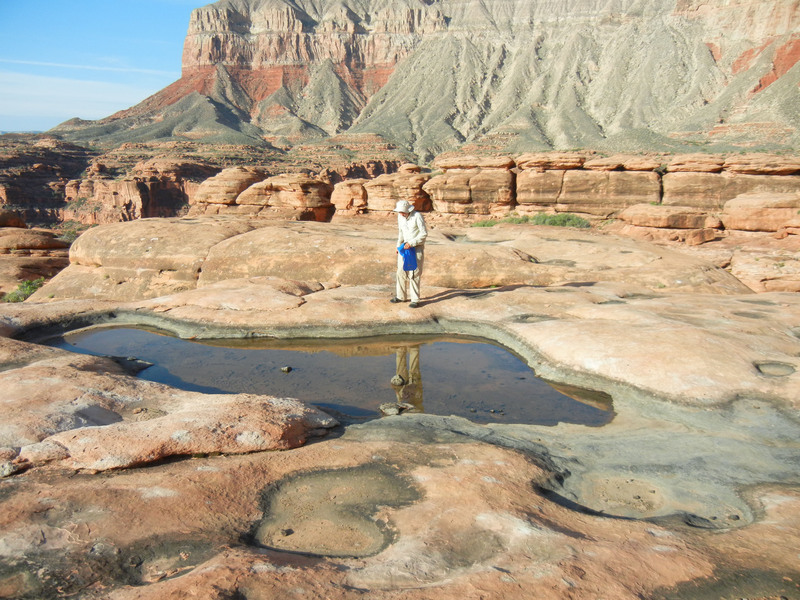 2 thoughts on "Mobal Vacation Stories: Grand Canyon Rescue"
Hello Emma, I am researching Search-and-Rescue events at Grand Canyon. 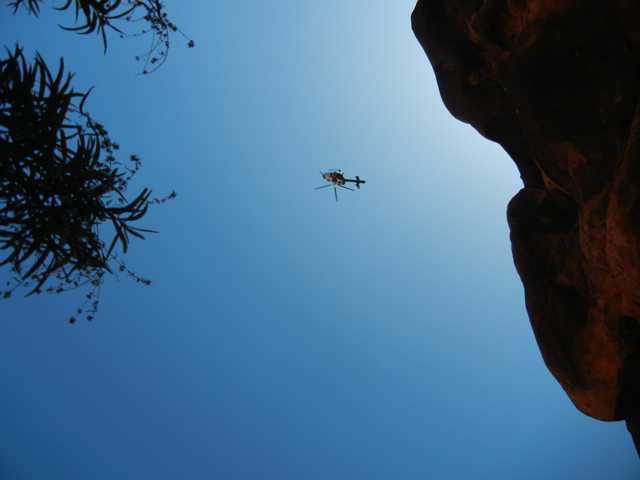 I would like permission to use the photos attached to the ‘Grand Canyon Rescue’ in my text. Also, what is the full name of Dave, the person who broke his ankle. Just saw your inquiry, my last name is Stockbridge. Did you have a question about the Canyon?